In the United States, all drugs potentially destined for use have to undergo clinical trials for safety and efficacy. Now, the question here is, who is conducting those studies? Have you heard of the term, ‘Big Pharma‘? It means big pharmaceutical companies essentially like Merck & Co., Johnson & Johnson, and Pfizer to name a few who have an enormous amount of monetary power to do as they please or manipulate outcomes. New data from the Johns Hopkins University suggests that the funding of clinical trials by corporations with vested interests is now the norm. These clinical trials are more than likely funded by the pharmaceutical industry. Third party testings are not required, so the drug industry is basically policing itself. Go figure! Clinical trials funded directly by the United States National Institute of Health (NIH) are considered independent, a large portion of trials conducted by the NIH are now funded by major pharmaceutical corporations. The Johns Hopkins report showed that the number of independent NIH-funded trials fell by 24 peecent from 2006 to 2014, while pharmaceutical-funded NIH trails increased by 43 percent in the same time period. Fewer independent trials means that the FDA is not acting with impartiality. It is also worth noting that NIH has less money for running independent studies because Congress has cut its funding. Big Pharma is willing to fund the clinical trials, however, and is not held accountable for lack of transparency in drug testing. 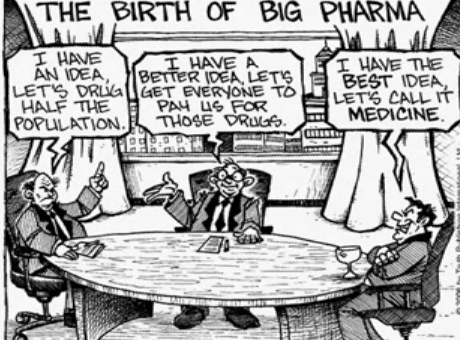 The pharmaceutical industry have one goal, and that’s to make money. Not to cure people, to basically collect collateral, and be the first to put out that wonder drug that promises positive results. They hate everything natural, organic, homeopathic, alternative, or herbalist practices because they cannot make money from it. If doctors stop writing prescriptions for pain, what do you think will happen? Profits will fall dramatically. The marijuana industry is booming now, and that’s an herb. How do you think they feel about that? Marijuana takes away pain, period. 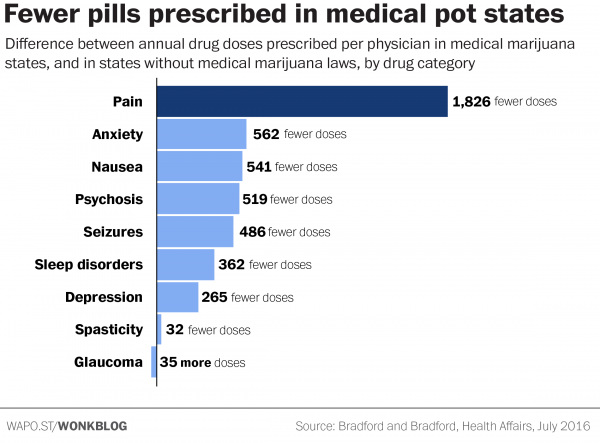 There’s a new body of research showing that painkiller abuse and overdose are lower in states with medical marijuana laws. These studies have generally assumed that when medical marijuana is available, pain patients are increasingly choosing pot over powerful and deadly prescription narcotics. But that’s always been just an assumption. A new study conducted by Ashley B. Bradford and W. David Bradford found that the use of prescription drugs for which marijuana could serve as a clinical alternative fell significantly, once a medical marijuana law was implemented. According to the Washington Post, the Bradfords took their analysis a step further by estimating the cost savings to Medicare from the decreased prescribing. They found that about $165 million was saved in the 17 medical marijuana states in 2013. In a back-of-the-envelope calculation, the estimated annual Medicare prescription savings would be nearly half a billion dollars if all 50 states were to implement similar programs. This is outstanding. 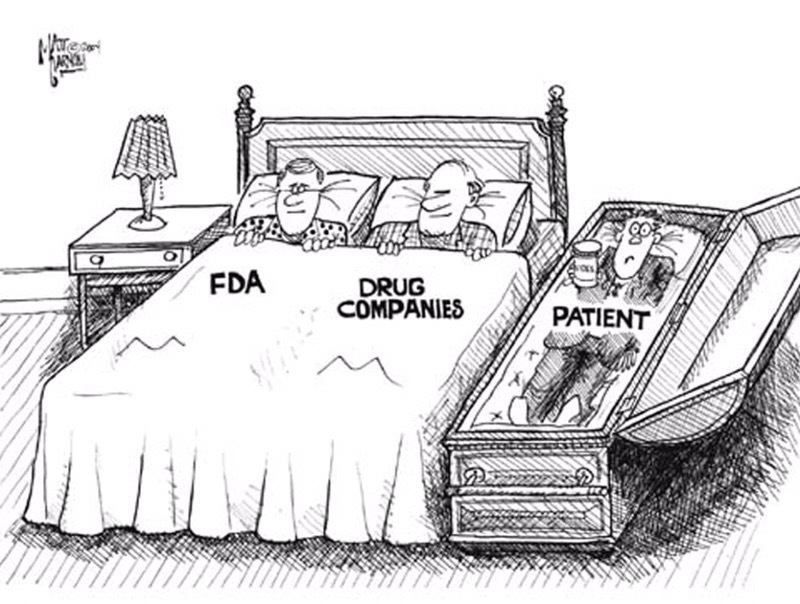 Big Pharma is real and scary people. I’ve included these cartoon clippings below to describe the reality of our country’s situation. Choose your care wisely. I’m a huge advocate for eating a whole food plant-based diet. This diet has proven success for reducing, reversing, and even curing illnesses. For more information on nutritiously regaining your health back to normalcy, visit www.nutritionstudies.org.